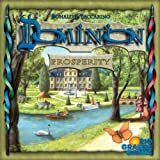 To play with Cornucopia, you need a complete Dominion game such as the original Dominion or Dominion: Intrigue. These provide the Basic cards you need to play (Treasure, Victory, and Curse cards), as well as the full rules for setup and gameplay. 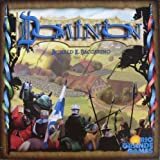 Dominion: Cornucopia can also be combined with any other Dominion expansions you have. Cornucopia includes 13 randomizer cards (one for each Kingdom card in Cornucopia). 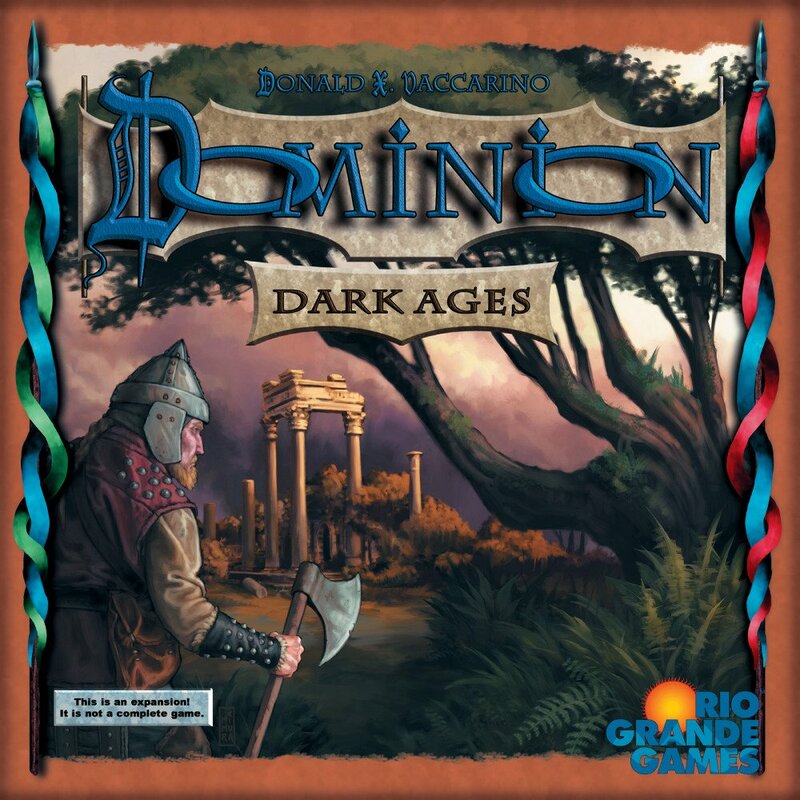 Players will need the Treasure cards, Victory cards, Curse cards, and Trash card from either Dominion or a standalone expansion to Dominion (e.g., Dominion: Intrigue) to play with this expansion. As with previous Dominion games, players must choose 10 sets of Kingdom cards for each game. If players choose the random approach for choosing sets, they should shuffle the randomizer cards from this expansion with those of any other Dominion games they choose to play with. In games using YoungWitch, choose an additional Kingdom card costing or , put its pile into the Supply, and mark its pile with the Young Witch randomizer card (underneath it, sideways). This is the "Bane" pile referred to by Young Witch; cards that start the game in this pile are "Bane cards." You may choose the card any way you like; if you are using randomizers to choose your 10 cards, you can reveal cards from the randomizer deck until finding one costing or , and use that one. If you are also using the card Trade Route (from Dominion: Prosperity) and the Bane pile is a Victory card pile, that pile gets a Coin token, like other Victory card piles; similarly, if Trade Route itself is the Bane pile, all Victory card piles get tokens as normal. If you are using the promotional card Black Market, and Young Witch is in the Black Market deck, put out a Bane pile for Young Witch. In games using Tournament, set the 5 Prize cards out as a pile near the Supply piles. They are not part of the Supply. In play - Action cards and Treasure cards played face-up to a play area are in play until they are moved somewhere else—usually until they are discarded during a Clean-up phase. Only played cards are in play; set aside cards, trashed cards, cards in the Supply, and cards in hands, decks, and discard piles are not in play. Prizes that no-one has gained are not in play. Reaction abilities like Horse Traders' do not put those cards into play. Duration cards (from Dominion: Seaside), once played, remain in play until the turn they are discarded. Young Witch adds an extra Kingdom card pile to the game. This extra pile is just like the other piles; if it is empty that counts for the game end condition, the cards in it can be bought and can be gained directly via cards like Horn of Plenty, etc. It is part of the Supply. There are five Prizes: Bag of Gold, Diadem, Followers, Princess, and Trusty Steed. These cards are never part of the Supply. That's the only new rule for Prizes, but it has various consequences. If the Prizes run out, that does not count towards the game end condition. The Prizes may not be bought, or gained via cards like Horn of Plenty; they may only be gained via the card Tournament, or via cards that gain cards other than from the Supply (such as Thief from Dominion). Ambassador (from Dominion: Seaside) cannot return Prizes to their pile. Trashed Prizes go to the trash pile, like other cards; they do not return to the Prize pile. When using Black Market, do not put Prizes in the Black Market deck. Prizes cannot be bought, but have a cost of , which matters for cards like Remake. A number of cards in Cornucopia care about cards being different. "Differently named" cards are simply cards with different names (like the Prizes) - they aren't copies of the same card. "Duplicate" cards are cards that have the same name - two copies of the same card.